You may well remember a news piece we ran a while ago about some Shelby Series 1 chassis being offered for sale. Well it looks like FII Roadsters came up with a plan with what to do with them and are now offering 50 Limited Edition FII 427 Roadsters based on said chassis. 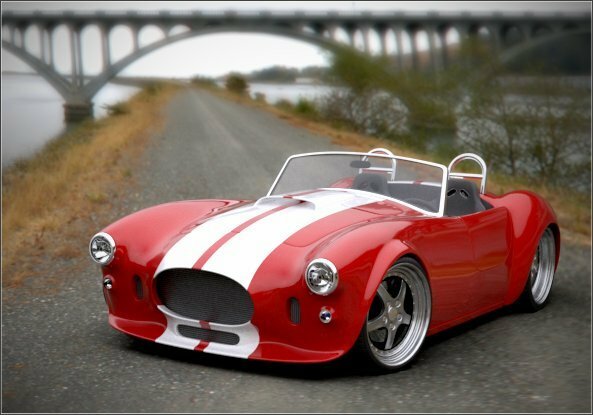 "FII Roadsters acquired the last of the all-aluminum Shelby Series 1 frames and incorporated race proven components and systems to bring you this amazing supercar. 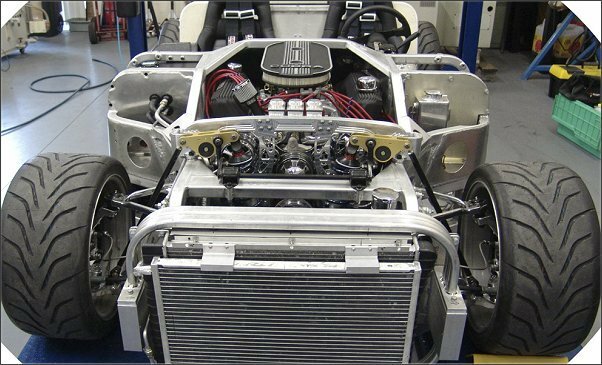 Using this platform, our aerospace team of engineers, designers, machinist and technicians have re-engineered it to accommodate a front mounted 427 Ford FE married to a RBT ZF type 5 speed transaxle. Keeping us at a 50/50 front to rear balance providing unsurpassed performance. This powerful roadster can go head-to-head with the best. Our custom roadster�s body and hand-crafted coach work bring back the �60s look with 2010 technology � including power steering and A/C. For the open air enthusiast who does not fit in the classic or late model sports car, the FII 427 Roadster is the solution! It�s designed to comfortably accommodate a 6 foot 9 inch, 270 lb driver with the most cockpit room of any sports car on the market. This 2400 lb car with a stock 427 can easily break the 4 sec. 0 to 60 mark and will top out at over 180�with the A/C on."